← Who’s Afraid of Al Jazeera? Being a teenager has always been tough. But being a teenager in today’s whiz-bang world of social media and anti-social media attitudes is downright dangerous. Kids are encouraged to identify with those who “hate” the same people they do, instead of being encouraged to hang out with those who bring out the best in them. That makes for some disloyal friendships. Plus, teenagers find it inherently difficult to understand that today’s humiliation, embarrassment and pain will pass into a faded tomorrow. Youth obsesses on the here and now—as if it will last forever. So, imagine what that “forever future” held for 15-year-old Audrie Pott. She not only endured the unforgivable pain and transgression of being the victim of “sexual assault” by a group of “friends” while she was passed-out at a party—the whole damnable incident was photographed and the evidence posted on Facebook. The humiliation and cruelty was simply too much for her to endure. Young Ms. Pott’s parents told the Associated Press their daughter was an artist who played soccer and was crazy about horses. 15 year-old girls on soccer teams aren’t usually hard drinkers. Yes, they can stub their toes and mess up—but how many 15 year-olds do you know who are kind and gentle enough to get a horse to bow its head into a bridle and then let them take the reins? Now, ask yourself: Where and how did her assailants learn their values? Tearing another’s body open is nothing. But, taking pictures of it all—is, well, fun! What sort of behaviors are they modeling? Did they hold her beautiful hair back so her face could be seen on camera easier? Did they go to McDonald’s afterward for a Big Mac? Did they post the photos on Facebook that night, or in the morning after they sat down and chatted with their little sisters at the breakfast table? Did they simply think of the photos as trophies? For an America that revels in exposure. An America that tunes-in for humiliations on daytime television and a night filled with reality show blunders. For an America that obsesses on salacious details. An America of anti-social media young Audrie grew up in. 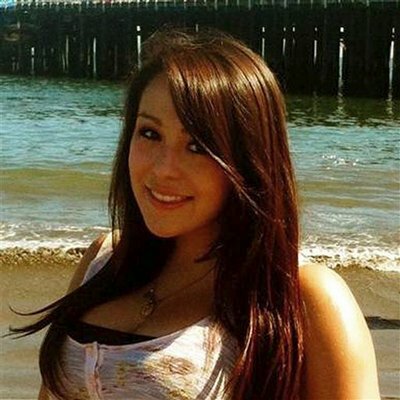 Now, consider how deeply the pain was felt and grew as Audrie learned what had happened. But also consider the pain and humiliation of how she learned what happened. Remember, she’d passed out. First, her body likely ached—telling her she had been violated. But perhaps she still didn’t understand the extent of the violation until days later when she logged on. Then she saw the pictures. Images of conquest—displayed by those responsible. Images of shame that all her friends had seen or would see. Images even her parents and siblings and teachers could view. Pictures that would allow anonymous, imperfect strangers to violate her again and again so long as the photos remained unlocked in cyberspace. Our culture has created an insatiable desire for attention even at the expense of harming others. But young ladies still ride horses. They still play soccer. They go to parties and try to navigate their teenage years…and survive. It’s more heartless than many parents understand. And Audrie’s heart was too fragile to survive in Mean America. Gallery | This entry was posted in Daily Dispatches and tagged Facebook cruelty, Mean America, san Jose teen suicide, Violence and Suicide in teens at all time high. Bookmark the permalink.